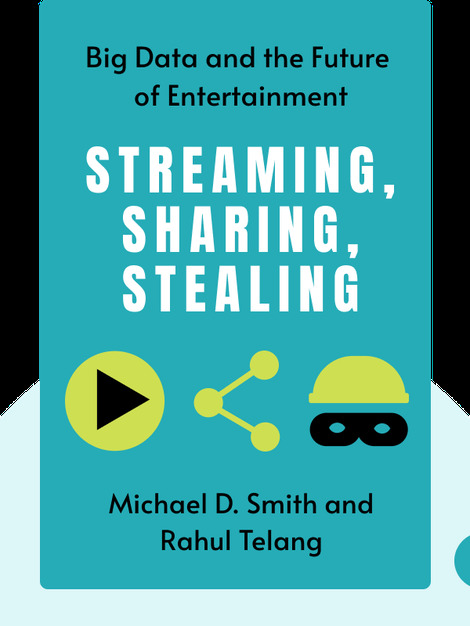 Streaming, Sharing, Stealing (2016) is about the ever-changing entertainment industry. Recent years have seen the emergence of new players who continue to utilize technology to transform the landscape. This book assesses how companies like Apple, Netflix and Amazon use data to understand their consumers’ needs. Michael D. Smith and Rahul Telang are professors at the Tepper School of Business and Carnegie Mellon University, where they co-direct the Initiative for Digital Entertainment Analytics. Over the course of their careers, they’ve been interviewed by Forbes, NPR and Fortune, and have featured on Talks at Google.